Tela Glassware was originally formed by experimenting with blowing molten glass into stitched textile bags. 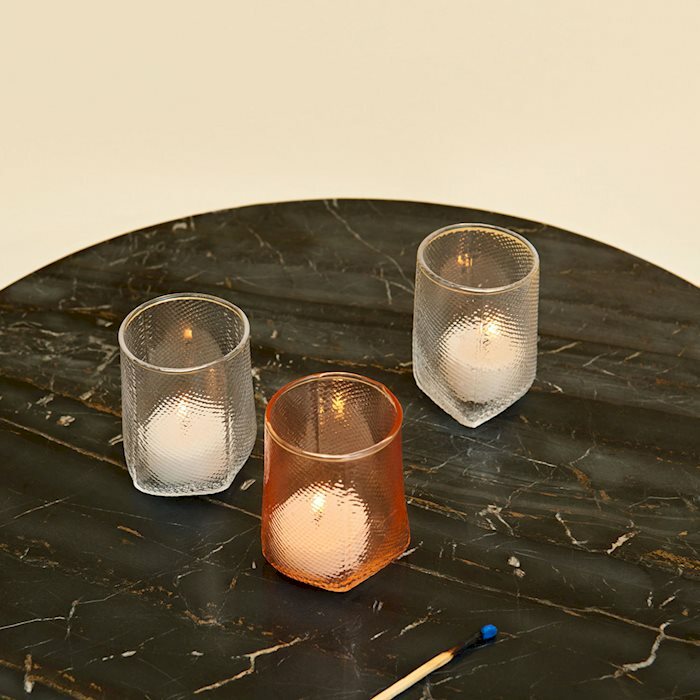 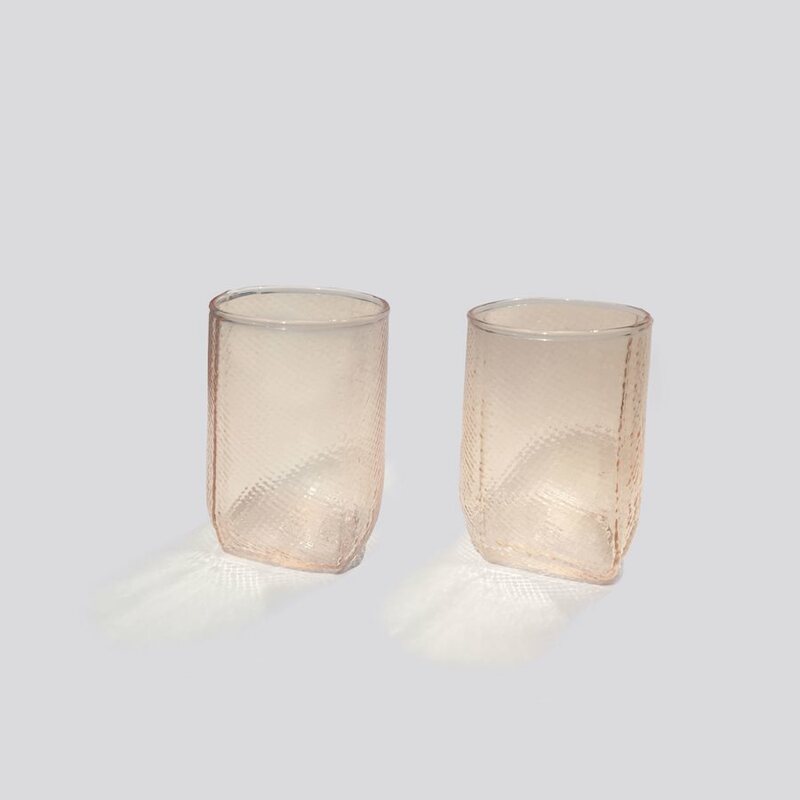 Light, strong and with distinct detailing, these tealight holders create a soft glow. 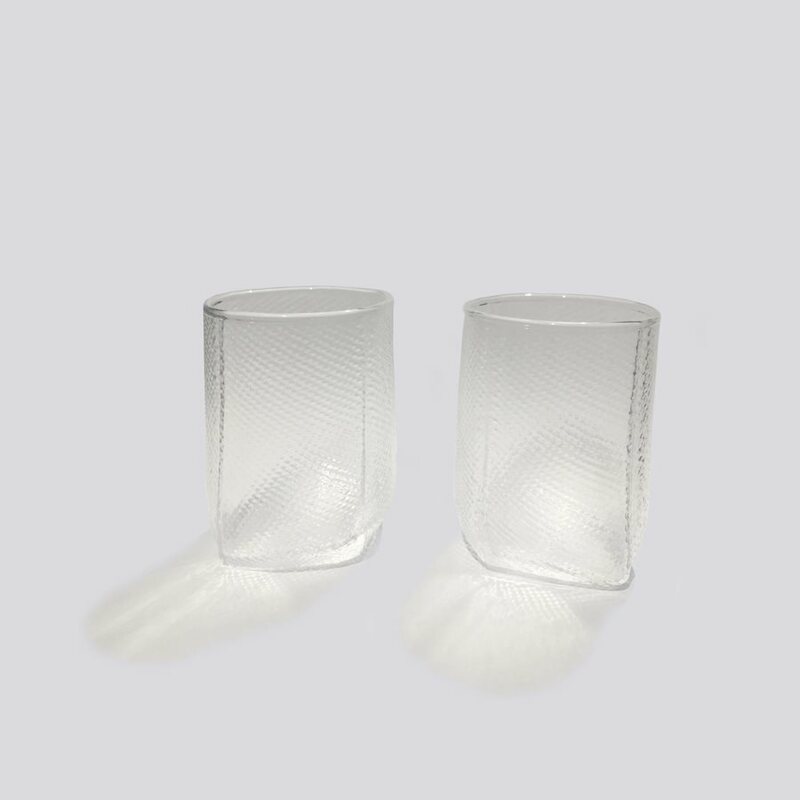 Come in a set of two with different coloured glass options.